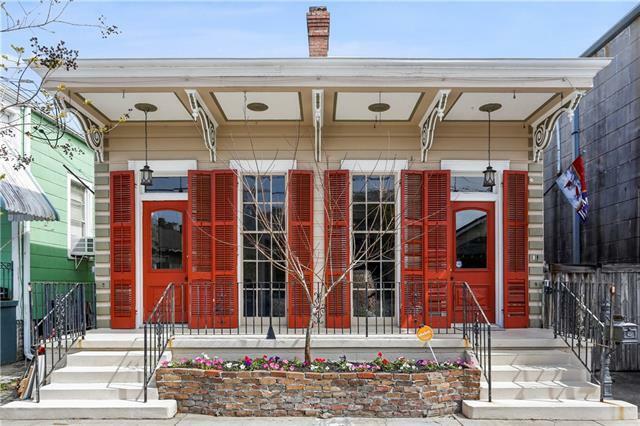 HUGE 6 Bedroom / 4 bath house and guest house on a fabulous block in historic Algiers Point! Within easy walking distance of shops, restaurants, and schools! Renovated in the last few years, with plenty of room for entertaining! Spacious kitchen with granite and stainless steel, with an oversized range! Spectacular master suite with whirlpool tub and skyline views! Easy commute to Federal City / MARFORRES and the Canal Street Ferry! GORGEOUS courtyard with detached guest house! Listing provided courtesy of Michael Jd Verderosa of Latter & Blum Inc/Realtors.